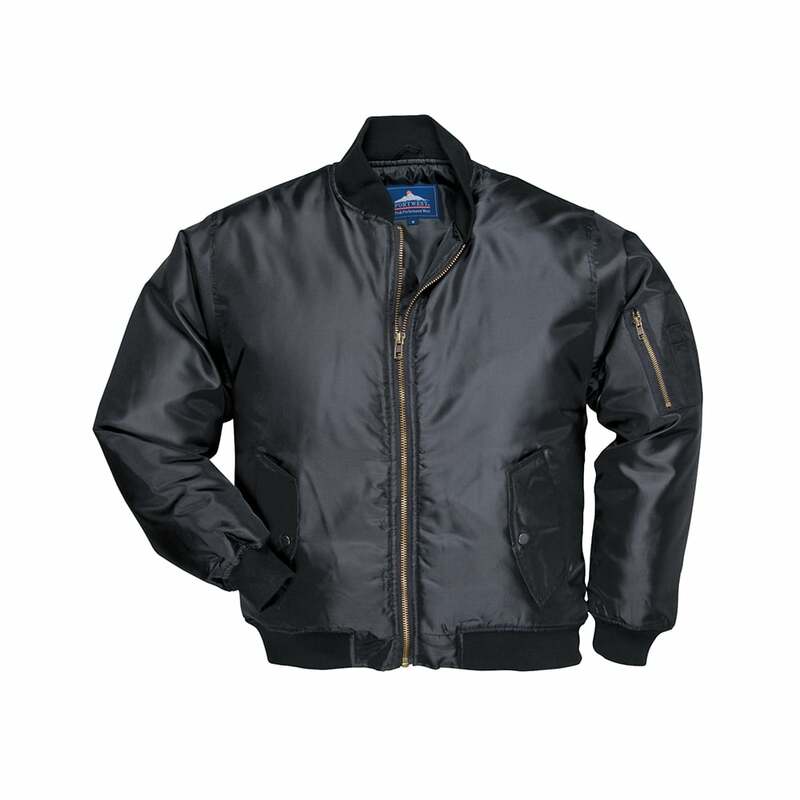 Port west Pilot Jacket is a fashionable piece of clothing made from a durable 100% nylon. It is shower proof and has a heavy brass zip, 2 jetted side pockets, inside pocket and knitted collar, cuffs and waistband. This jacket is available in black only.